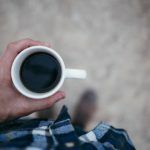 Ever wonder how some people have managed to avoid ever becoming dependent on coffee while others down multiple pots a day? Well according to some recent research, those cravings might actually come straight from your genes. The study was done at the University of Edinburgh in Scotland, and determined that people who have a gene variant in their DNA called PDSS2 drink less coffee. It seemed that people who do not carry the gene are more prone to have coffee cravings as well as answer them. Coffee is one of the most widely drank beverages on the planet after water and tea, and since it contains so many different compounds it is researched heavily. Studies have determined both the downfalls of the stuff, but also a lot of really great stuff about it. Coffee of course is a high source of caffeine, which is a stimulant through and through. Caffeine goes straight from the bloodstream to the brain, where it effectively blocks an inhibitory neurotransmitter called Adenosine. When that happens, the levels of norepinephrine and dopamine go up in the brain, which the leads to the firing of more neurons. Hence why you might feel a bit smarter and awake once you’ve downed that first cup. Studies have shown that coffee can have all kinds of positive effects on the brain like improved cognitive function, a mood boost, better reaction times, and better memory. Coffee is also a good source of certain nutrients, like Riboflavin, Pantothenic Acid, Potassium, Manganese, Niacin, and Magnesium, as well as a ton of antioxidants. Coffee might help protect the body from some pretty serious issues like diabetes, Parkinson’s, Alzheimer’s, cancer, and stroke. Of course like anything in life, moderation is key. For most adults four cups of coffee is considered a safe limit, but many people can drink far more than that without any adverse affects. Other people who are more sensitive to caffeine might experience anxiety from the increase in adrenaline or be up all night after a light two cups. Always listen to your body when you’re finding the right balance. It varies dramatically from person to person based on current consumption habits, as well as apparently what has already been written in your genes.